Features an easy bolt in Shifter Lever with an embossed billet aluminum Knob. 1" shorter than production for a 4.5:1 lever ratio. Allows more precise shifts without increasing production level NVH (noise / vibration / harshness). 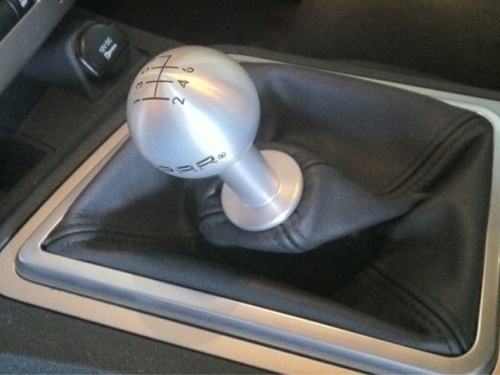 Will accommodate any 3/8-16 thread shifter knob.